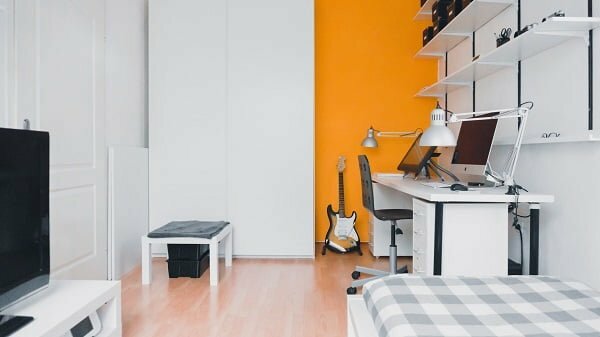 Looking for minimalist apartment ideas to decorate your place? 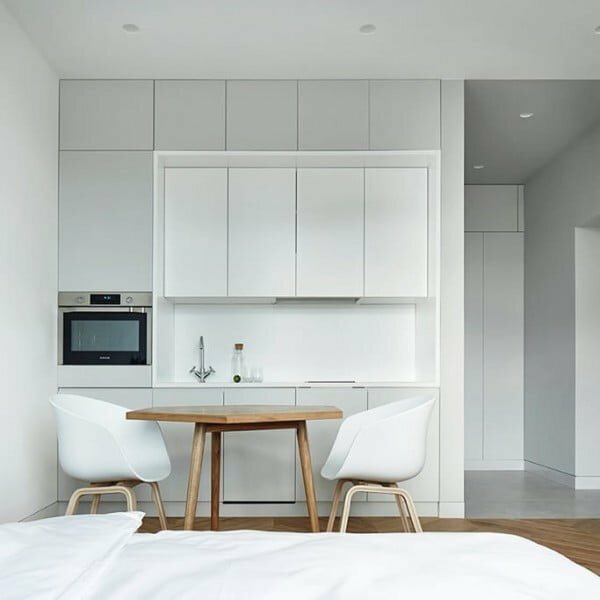 Here are 20 amazing minimalist apartments that have done it right in 2019. Minimalism in interior design and home decor is huge. It seems that every designer is trying to base their work on this style and many homeowners are happy to practice it in their place. The style is very practical and requires only a low budget. 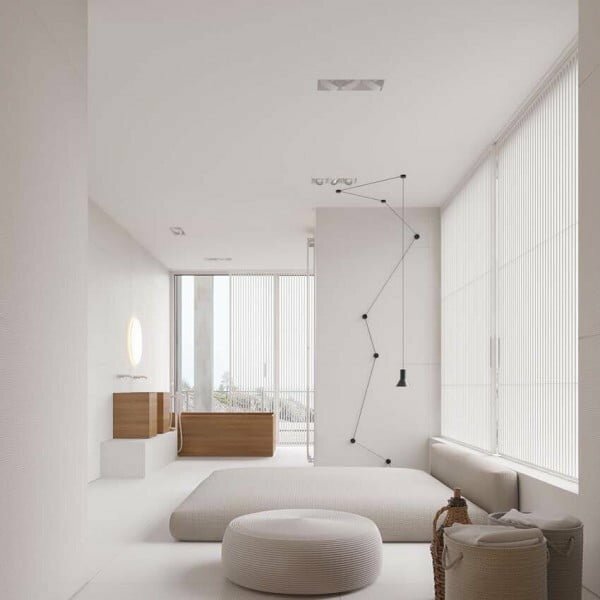 At the same time, minimalist apartments look elegant, subtle and inviting. That’s something everyone likes to strive for. The only thing is, you have to do it right. The minimalist style has many shapes. It can be clean and straightforward, it can have eclectic accents. The style can be cold and modern, and it can be cozy and rustic. And it all depends on what you, as the homeowner, want it to be. What is your style of minimalism? Take a look at these fantastic ideas and choose what you like the most. 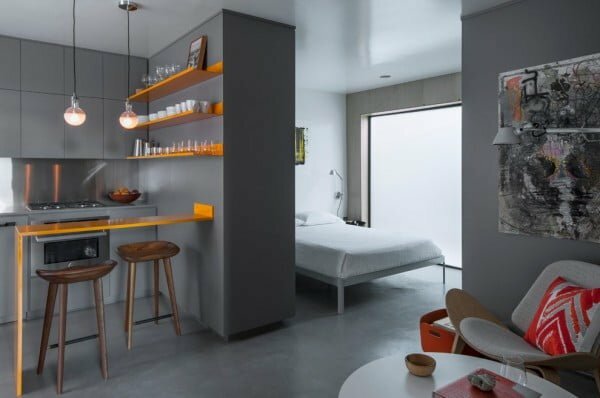 This is a typical modern minimalist apartment in all white theme, but it’s made interesting with a pop of vibrant orange accent wall. It breaks the visual lines and makes the small room look bigger. 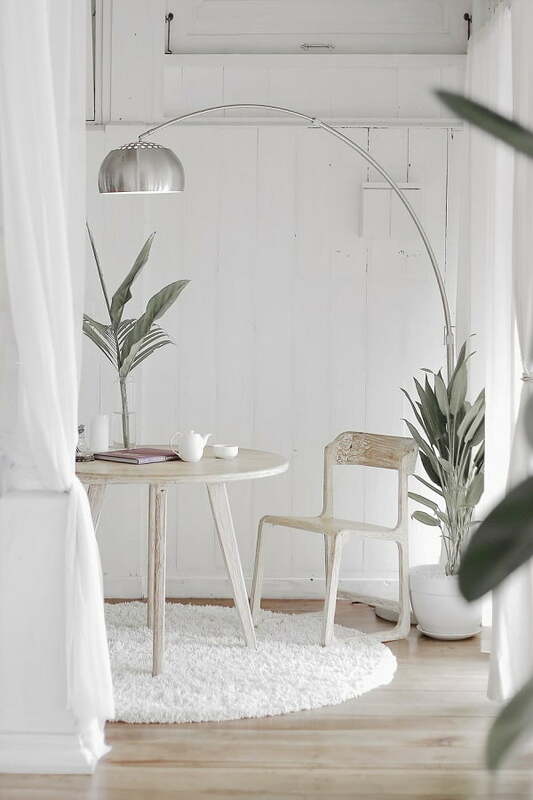 This reading nook in a minimalist apartment shows that even this style can have all the warmth. The shiplap wainscotting and rustic weathered furniture add a lot of charm and character to the place. 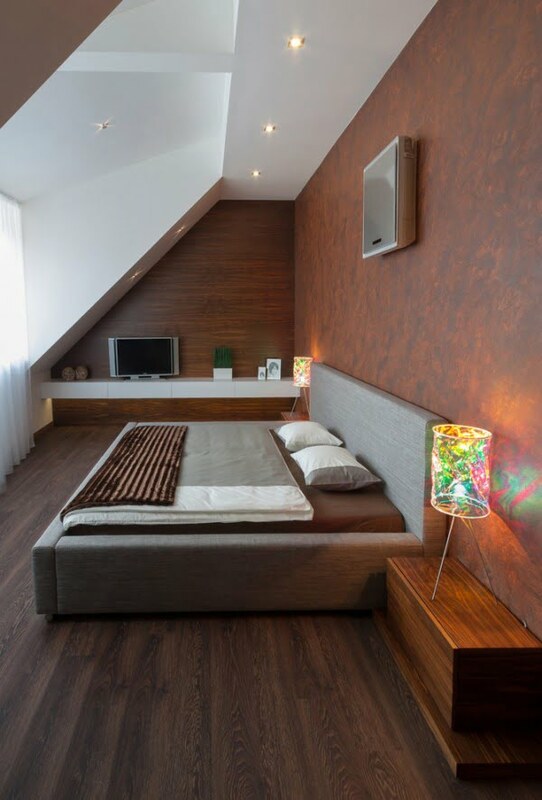 A rooftop apartment means small space and irregular attic ceiling which limits the choices of decor even more. But the right choice of wood finish makes it work. The combination of white and cherry wood makes space look visually bigger. Such a small space requires smart decor choices. And they are done very well. The all grey theme keeps the place uniform, thus making it look bigger. The kitchen, bedroom and living areas are separated by simple decor accents, which make the place look interesting. How do you make a crisp modern design of glossy furniture and appliances warmer and more welcoming? There are many ways to do that, but in this case, it’s the use of the grey wood floor. It makes this minimalist apartment cozy right away. 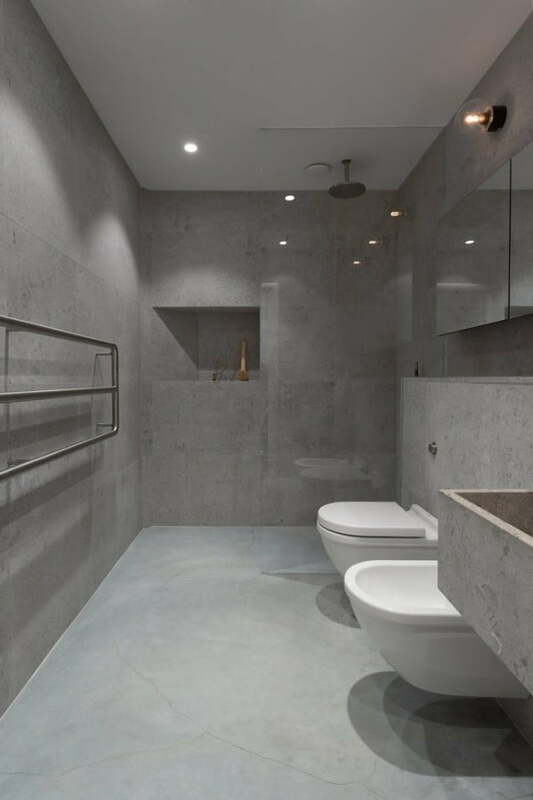 The less is more approach is evident in this minimalist apartment bathroom. The gray tile concrete accentuates the floor alcove shower — remodeled with gray walls, trough sink, and concrete counter-tops. This eccentric living room features Scandinavian formal light wood floor with lavish and elegant white walls. 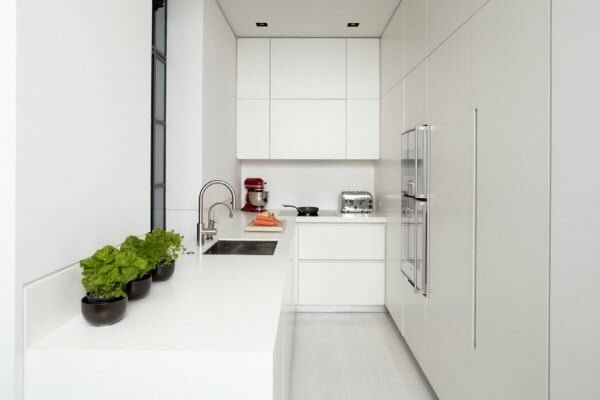 This minimalist apartment in London truly captures the allure and essence of optimal space and geometric designs. 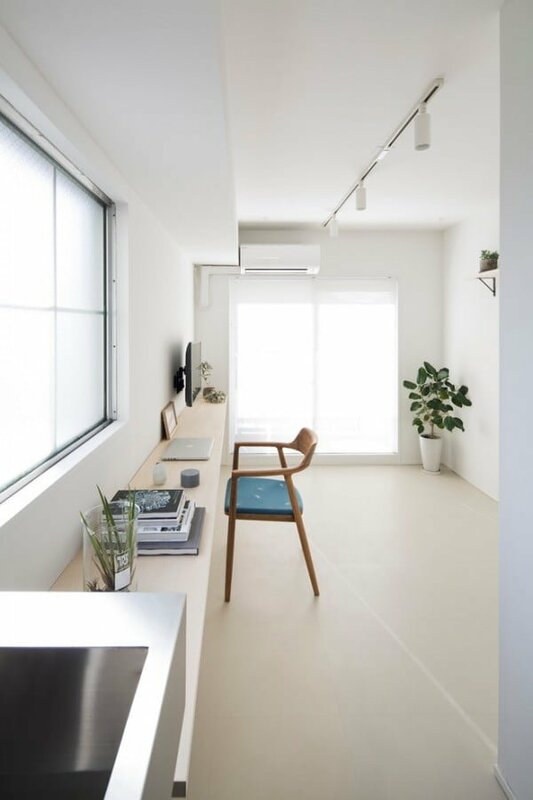 This mid-sized Danish home office in Tokyo features beige flooring with beautiful white walls. The perfect example of minimalism at its finest — precise and concise yet fashionable and trendy. 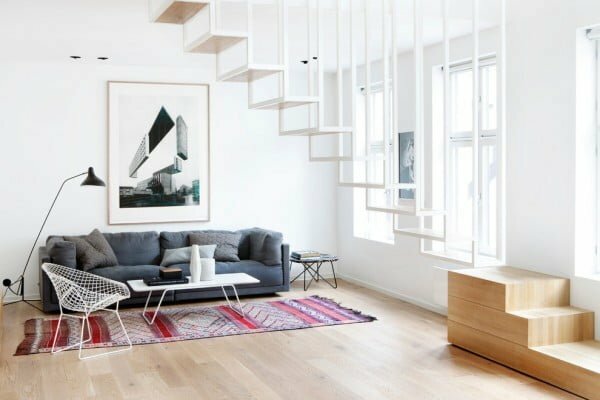 The inspiration for this minimalist apartment includes single-wall light wood flooring. 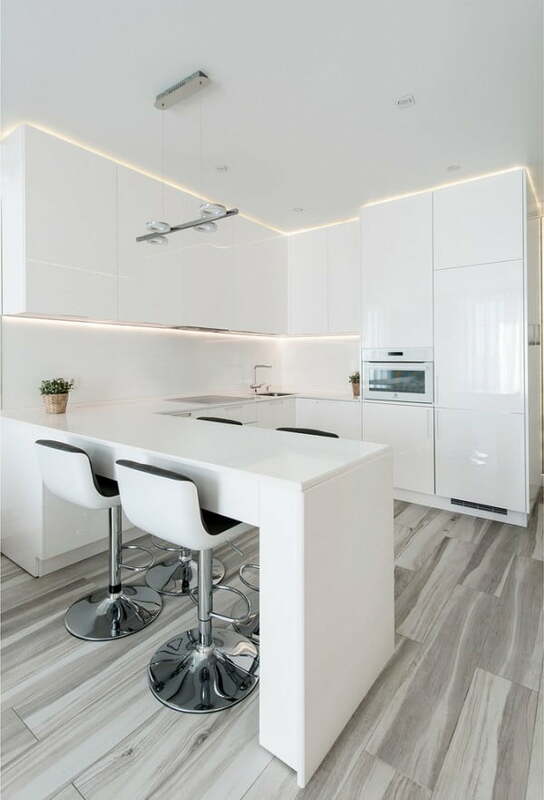 This kitchen setting in London also features wood counter-tops, blue cabinets, panel cabinets, and a cutting-edge and innovative island design. The ventless fireplace in the kitchen makes a unique and conversation-piece-worthy focal point. This Central Park renovation was designed by INC Architecture & Design. 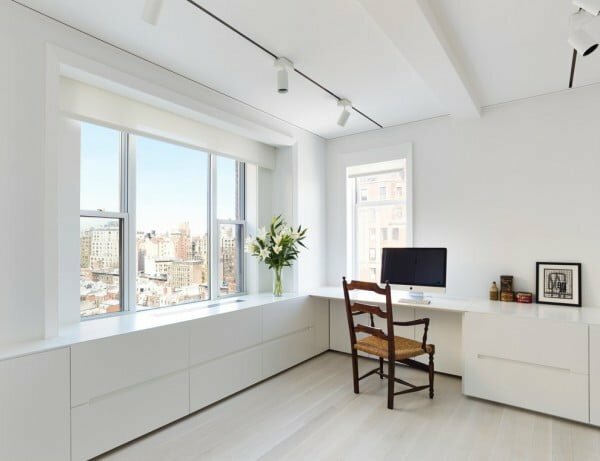 With visuals by Annie Schlecter, this mid-sized apartment features a trendy built-in desk with light wood beige flooring and classy white walls. 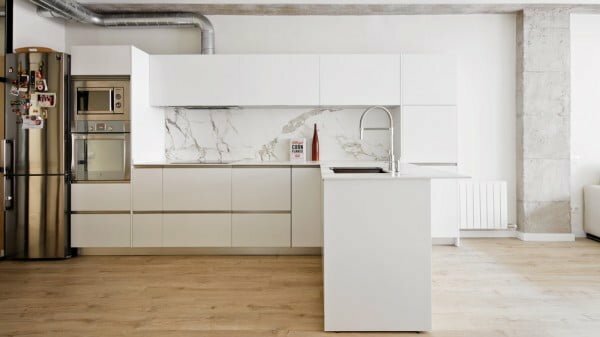 This captivating minimalist I-shaped kitchen in London features an under-mount sink and flat-panel cabinets. The overall design is enhanced by white cabinets, paneled appliances and white back-splash for compelling and engaging visuals. 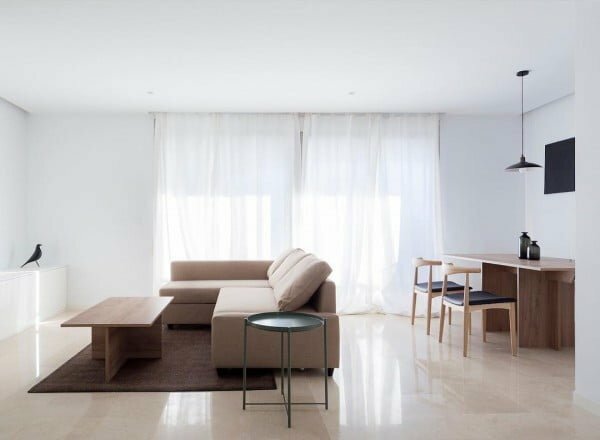 This beautiful minimalist apartment in Spain features classy white walls and drapery. This less is more concept also showcases cool-toned beige flooring, central brown rug, beige furniture, and Art Deco style desk, hanging light and accessories. This beautiful living room features white walls with a white divan and uniquely-design architectural hanging light — lamp. 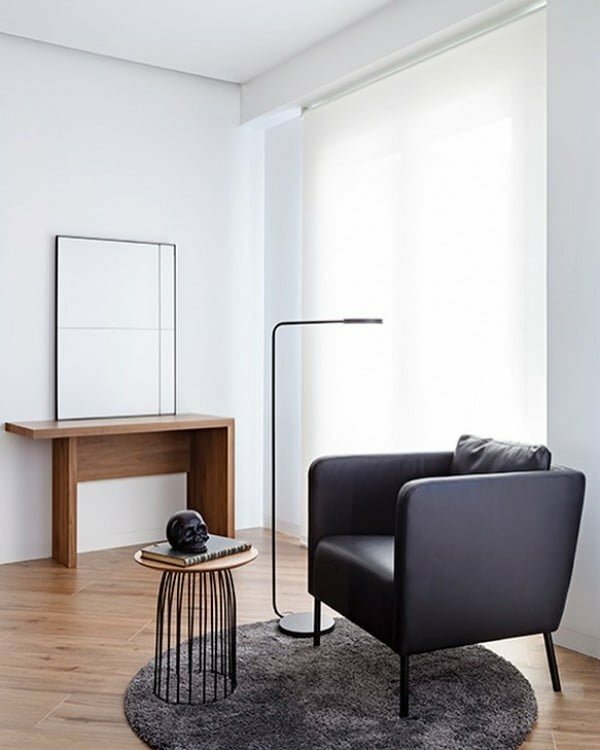 This is the perfect example of a minimalist apartment with streamlined, centralized furniture and decor for optimal space. This small apartment looks incredibly spacious with ample leg and seating room. This is courtesy of geometric white cabinetry, which easily fits the microwave oven blanketed by classy white walls. The white teacup chairs and mid-beige tables and flooring offer the perfect tones and contrast to the entire design scheme. 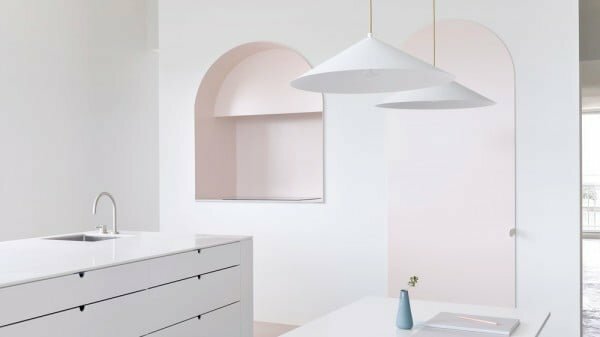 This design scheme is perfect for the minimalist lover and enthusiast. Art Deco aficionados will love the simple — but vibrant — beige, grey and white designs and contrasts. This unit makes great use of space with white drapery and walls; accentuated by brown hardwood flooring, table with mirror, and center chair with rug and lamp. This elegant Melbourne apartment indeed resembles a modern and contemporary art gallery. As the brainchild of BoardGrove architects, the furniture and fittings appear as art objects at every corner. The open-concept abode also maximizes natural light, while capturing the essence of minimalism across its décor and designs. 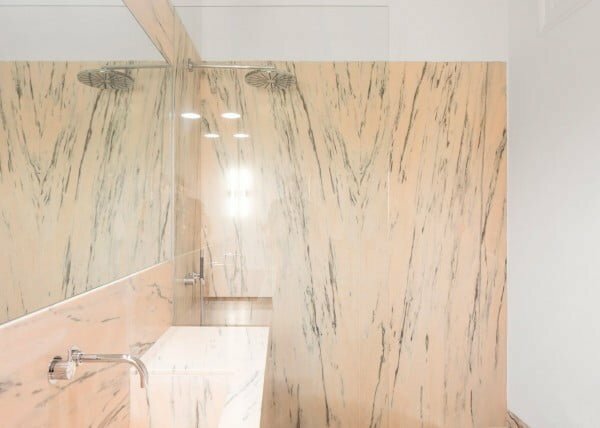 Rar Studio has electrified this Lisbon apartment with marble bathrooms and wooden floorboards. Similarly, they have incorporated simple yet captivating furnishing to complement the 19th-century style moldings. 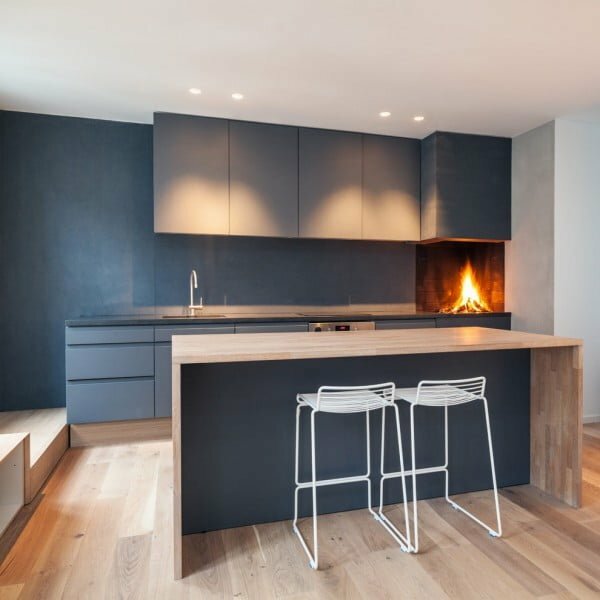 As a professional remodel and renovation, Rar Studio has genuinely captured the minimalist style with a touch of contemporary class. 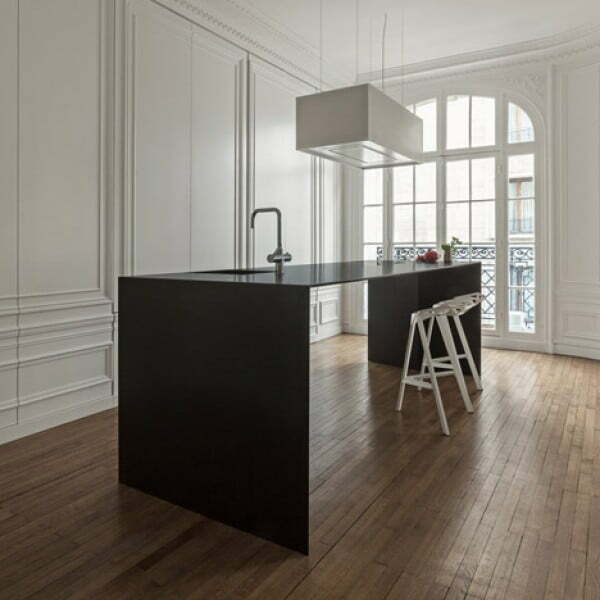 This spectacular Paris apartment features minimal stainless-steel Kitchen Island and Dutch studio designs. The island was created by i29; world-renowned interior architects and designers. This unit features a sink and cooking hub but is streamlined in design with a thin and sleek profile. Raul Sanchez enhances this Barcelona apartment with angled walls and open concepts. The grey-veined marble is also matched with raw concrete and exposed pipe-work. This offers both an industrial and artistic approach to creating aesthetically-pleasing visual breaks in the layout. 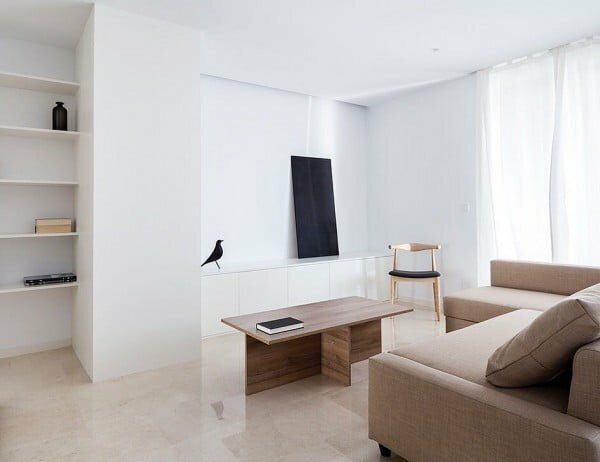 White walls and shelving make this minimalist apartment a real work of art. With the center table, side table, sofa, this unit truly captures the heart and soul of artistic creativity and architectural ingenuity.